The War on Terror is Over The War on Terror is Over"
The War on Terror is Over & One Trillion Budget / YR for "Thought Cancer"
The Government that was once called ourgovernment has been taken over by Wall Street, the mega-corporations and the super-rich. They are the ones who decide our fate. It is this group of powerful elites, which was called by President Franklin D. Roosevelt ‘economic royalists,’ who choose our elected officials; indeed, our very form of government. Both political parties dance to the tune of their corporate masters. Corporations don’t control the government; they are the government”. Wrote Larry Flynt in a blog for the Huffington Post. 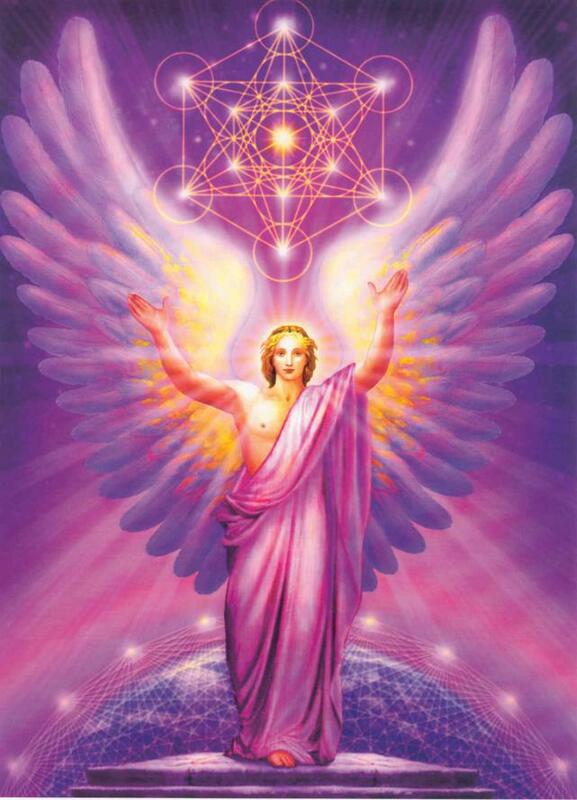 Greetings Masters, I am Metatron Lord of Light, with Tyberonn of Crystalline Service, and we greet each of you, individually, lovingly, in a vector of timeless space. We embrace you in the 'Now' time that you read these words, and surround you in an energy of Unconditional Love. The world remakes itself in 2018, and whether or not humanity are prepared for expansive change, is truly a moot point. For the forward inertia of time accelerates more quickly today than it did yesterday. Accordingly will 2018 impel the expedition of light acceleration and your lucid interpretation of consciousness. With this surge your cognitive expression of life, will in-kind shift into higher tempo. You see, all is quickening, time is accelerating as the 'New Earth' of 2018 and beyond draws nigh. So as time reshapes itself it will also reshape the experience of mankind, of visible and invisible forces of nature and that of the face of the Earth itself. Ahead are challenges to be faced, but you have the tools to absolutely meet the challenges. Dear Ones, the years of you physical experience, from birth to death, compose the table of contents in the 'book' of your life ... and now, the page has turned. 2017, for better and worse, has now yielded to the next 'annual' chapter. It is '2018, Year Six of the New Earth'. And so we speak of 2018. Indeed it is a supra-energized year of invigorated time, and will be a period of intense quickening. An unusual & opportune time of re-calibration will occur thru the first two months of the newly arrived year. All planets will be in forward motion, none in retrograde, for 65 days, from January 2nd, 2018. This is the only phase of 2018 in which no planet is in backward flow, and is thus an extraordinary time for clarity & creating harmony. Within this time of 'smooth flow', are 2 eclipses, to amplify the forward movement .... amplified by 2 'Super Moons'. This phase from January thru early March, represents a time of a reprise, a phase of recharge and preparation. Now, make no mistake, 2018 will be a challenging year. But fear not, most of you will find it a bit easier to manage than 2017. Is this not a testament to your frequencial growth? Indeed, 2018 contains within it, the extremely potent energy amplifications phases that you are now becoming more accustomed to, but understand that these magnifications are part and parcel of your accelerated growth process. Indeed you must learn to operate at higher frequency, and so the years ahead are in a sense a rigorous training program that will allow you to strengthen and increase your auric fields as the ground-zero inertia of the 'Human Ascension' nears in two decades (2038). The intense winter solstice which ended 2017, is now being followed by two unusually gentle perigee 'Super Moons' in January. The second of these will occur on the Jan 31st full moon, total lunar eclipse. This total eclipse is tandem, the total lunar is followed in February by a solar eclipse. This benevolent amalgam of 'coded' astronomical events will surprisingly provide an interesting, soft entry into 2018, relative to the tumultuous final quarter of 2017. Indeed, this beginning is influenced by a lunar induction of deep contemplative energy that will span the earth and flow forward into a 65 day phase in which all planets are moving forward, none in retrograde! This will be a rare and welcome wave of benevolent energy. It will provide a time of relative rest, underpinned by periods of profound 'moon driven' inward reflection. A perfect time to review the year past, and the year ahead.....and a clear energy to recalibrate your emotions. And actions ! Accordingly, the 3 months of summer (northern hemisphere) and 3 months of winter (southern hemisphere) , from June thru August will be a very intense , rather unsettling phase of 2018.....indeed, this astro gravity amalgamation will be the most trying 90 day period of the year. In the energy of 2018, there is an astrological phase of tension, terrorism & political imbalance, especially during the Mars & Saturn retrogrades. This is a period in which ongoing conflicts & terrorism are more likely to occur & indeed escalate. This will be a time in which shadow is revealed, and 'Pandora's Box' is figuratively open. It is a timing rife for polarization, riots, scandal, political upheaval, even assignations. Travel to conflicted areas, including the Middle East & parts of Europe should be carefully considered during late July to 19 August, in which Mercury, Mars & Saturn are all in powerful angles of retrograde. You are in a requisite cycle of cleanse, in what the channel has termed as 'Crucible Astrology'. All unresolved energies are not only surfacing, but polarizing in the shifting crysto-dynamics. Dear Ones, while the economic system must and will change, a total collapse into global chaos would not serve the New Earth. A total breakdown will not occur, will not be allowed to occur. A breakdown will not be prevented by the power-brokers for any altruistic purposes, rather because those consortiums, corporate conglomerates & '1st-World' countries controlling global economies will not allow it for their own purposes of power, control and greed. The change into a new, more equitable system will require time, but in time, will take place. Indeed, in 2-3 decades, significant changes will begin to take root. It will be a gradual process, led by the 'milleniums', as the new generation grow into greater position & voice. We assure you, the drivers are already in place to bring about a more equitable system. Masters, an important word regarding the natural disasters' that are occurring. These occur as a natural sequence of planetary balance, and will continue, as they always have throughout your planetary history. Although extremely difficult, the silver lining and underlying side result is that hurricanes, fires & quakes, however painful, also serve to bring out the better aspects of humanity. These are absolutely not punitive, are not by any means a retribution. What must be understood, and should be studied with academic funding, is the connection between eclipses, tectonics & gravity and what follows in their wake. The eclipses can spawn what you term as 'natural disasters', including earth-quakes, tsunamis, flooding, tornadic winds & hurricanes. Indeed, all solar eclipses create interesting gravitational distortions, in what is termed the Majorana & Allais effects. Just as a full moon can bulge the tides and oceans into expansive tension, so can solar eclipses.....to a much more complex degree. 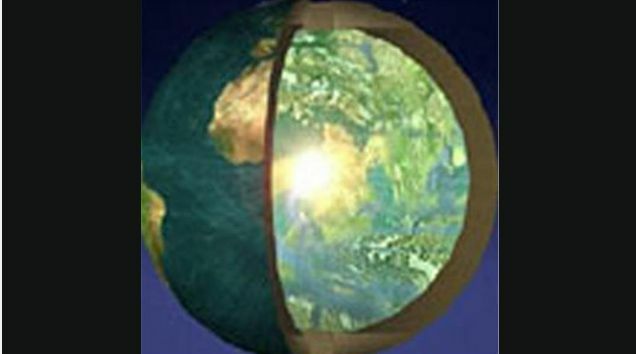 When the sun and moon are eclipsically aligned, the earth-crust will actually 'bulge and stretch', stirring magma & destabilize tectonic plates. In truth the energies leading to 2038 are merged in one program, and as such from our higher perspective the events of 2018 are part of the same process of the coming 'Return of Light', leading into the Ascension of Humanity. It is our purpose here to focus on the aspects of 2018 that lie so near to your unfolding. Indeed Masters, the heralded 'Human-Ascension' it is not an abstruse complexity of prophetic biblical script, but rather a natural and requisite expression of accelerating planetary consciousness. As such, all of you on the earth-plane are now within the field of an incredible crystalline energy. The result is that your own auric fields and Mer-Ka-Na Light Bodies are, through induction, becoming extreme energy in motion. It is energy as desire expressing itself and so your work calls forth now an even finer frequency. Imagine that if you will take vitamins for your physical body they must be such that they can be absorbed by the body to generate wellness, well-being, and better health. And so it is the same with the Crystalline Transition, its crysto-geometric frequencies and energies are indeed benevolent 'vitamins' of catalytic expansion for the light body. In the present dawning of the new crystalline era of the Earthplane, of the 144 Crystalline Grid, the earth has upshifted, and calls for you to transition in kind. Remember the very fabric of the Cosmos is sacred geometry. The crystalline vibration is defined in human terms as 'impeccability', walking ones talk. Dear Humans, in the next two decades, leading into 2038 the love of power will begin to be displaced by the Power of Love. It will take time, but do not doubt it, for it is already in motion. It begins initially inside each of your hearts, and Dear Ones, that is happening now. The final trimester of 2017 was marked by a mega Total Solar Eclipse in North America, triggering earthquakes and hurricanes in its potent wake. The influence of the mega solar eclipse will continue well into 2018.....and we tell you that the advent of natural disasters, hurricanes, earthquakes and such, will play roles in the re- prioritization of humanity. We love each of you, all of you, and beyond the veils you are part of us. We spin a light vortex of great honor and appreciation to you! We are sending this energy to each one of you in the 'NOW' moment that you read or hear these words. It is a future of Ascension that you are creating....and we tell you that this period of less than three centuries is the blink of an eye. We salute you. You are on the appropriate path! All Copyrights Duly & Fully Reserved 2018 to J Tyberonn & Earth-Keeper.
. Skip to 1:20:10 to listen to Zorra.
. RV already rolling out, just has not reached the US. Remain patient.
. American heroes - Heather and Randy to be exonarated regardless.
. TDA information HAS TO come out! In the mean time send them love.
. There is live inside every planet, no on the surface, but inside.